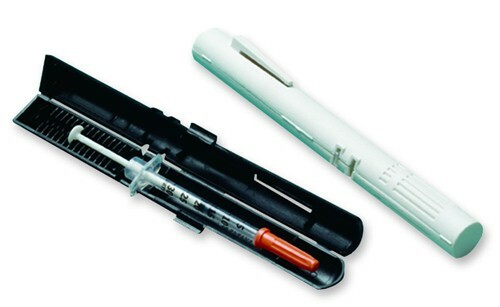 Pen-size case offers convenient transport of pre-filled syringes; fits in pocket or purse. Interior safely holds syringe plunger in individuals preset position with approximate dosage. Holds most E-Z Ject, B-D, PharmaPlast and TERUMO syringes (not compatible with Monoject syringes). Contents: two impact-resistant, polypropylene cases (1 black, 1 white). As a diabetic person for years, I use this case to keep my syringes safe and clean. It has a shape of pen and that makes it very easy to fit in my pocket. 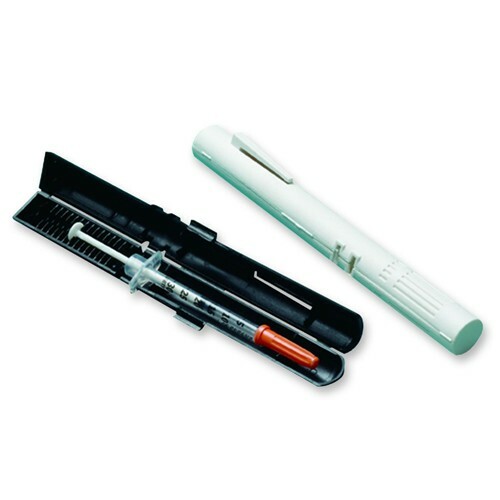 It is an ideal syringe case for people who are not all the day in their home. I recommend this product to people with Diabetes.